Pete Kilkenny embarked on this year long project in October 2012. 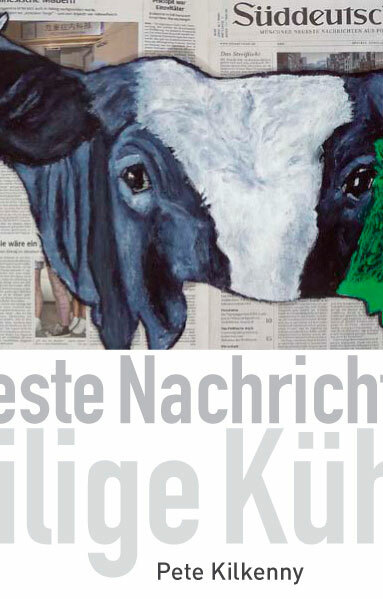 To make a cow painting on every issue of the German Newspaper "Süddeutsche" from 19. Okt 2012 to 18. Okt 2013. An exhibition of the resulting 301 paintings took place from the 18th October and the 4th November 2013. As many of the works have already been sold to private collections this was maybe the last time that the whole body of work could be viewed in one venue. The exhibition took place in the studio and home of Pete Kilkenny in Tittmoning in Bayern so it was also a unique opportunity to see the paintings in the space in which they were created and the home of the artist. Kirsty Bell, a writer and regular contibutor to Frieze has just published a book about the homes of artists (The Artists House: From Workplace to Artwork ISBN 978-3-943365-30-6) that discusses the influence of the home and studio on the work of an artist. 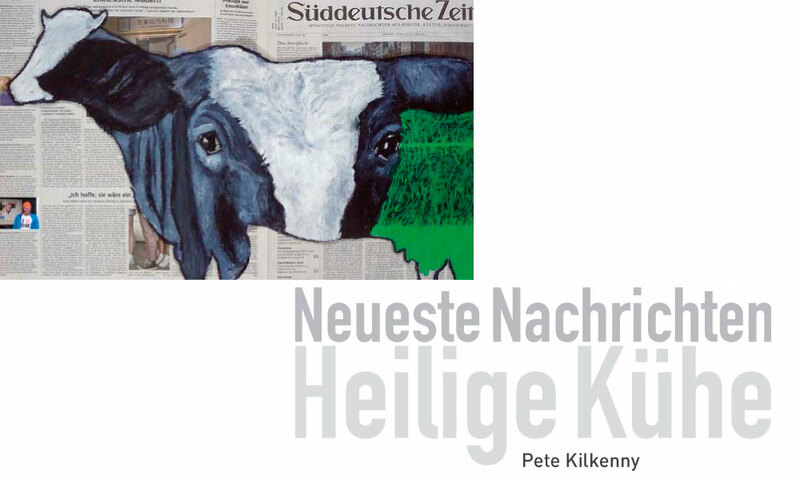 The theme of cows has long featured in the work of Pete Kilkenny as has the theme of time.